Signature Healthcare of Volusia provides a concierge medicine service with an annual membership. As a member, Dr. Mercer and his staff will provide personalized healthcare for all patients ranging from newborn to elderly. Dr. Mercer will arrange for additional testing or consultations with specialists when necessary. As a service to our patients, appointments with specialists or for testing are made by our staff for your convenience. 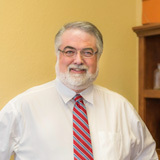 Dr. Mercer admits to and provides care for his patients in the following Volusia County hospitals: Florida Hospital Ormond Memorial, and Halifax Medical Center in Daytona Beach and Port Orange. The annual membership fee is $1,800. Additional medical services such as non-preventative office visits and hospital care are not covered by the annual membership fee. These charges will be submitted to your primary and secondary insurances if you desire or can be paid at the same time of your visit. The annual membership fee can be paid using cash, check or credit card. We accept Visa, MasterCard, Discover and American Express. Quarterly or semi-annual payment schedules are available. If your health insurance covers annual preventative examinations, or if you have a HSA or flexible spending account, then a portion of the membership may be eligible for reimbursement. Please feel free to contact our staff if you have any questions or to schedule a No Cost Consultation with Dr. Mercer to discuss the benefits of membership.